Life jackets, wakeboard vests, life preservers – whatever you want to call them, they all have the same basic guidelines when fitting yourself in the right size life jacket. HOW DO YOU SIZE A WAKEBOARD JACKET? First of all, you’ll need to know what type of vest is the one for you. Look at the size, type of vest and the material the life preserver is made out of. Life jackets are not like an apron, where one size fits all. Fortunately, they come in many sizes. Do determine the correct size for you, measure around the thickest part of your chest and match it to the vests measurement specifications. Most wakeboard vests are form fitting, so it is wise that men and women have their own separate vests. MOST IMPORTANT: If you can put more than 3 fingers in the gap between your shoulders and the vest, the life vest is too big. 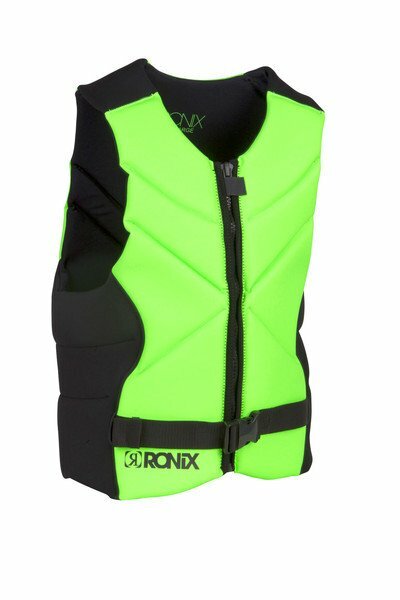 This wakeboard vest will not keep your head above water. The US Coast Guard requires that all passengers on a boat, to have a USCG approved life jacket. Sometimes these life vests might be more bulky, and not the easiest to use when doing water sports like wakeboarding or wakesurfing. This is where competition vests come in. Comp vests are lite weight, form fitting and flexible. They will float you, but they won’t always keep your head completely out of the water. Competition vests are not US Coast Guard approved. When picking your life preserver, you can choose between two materials, Nylon and Neoprene. Nylon life jackets are cheaper and more adjustable for different sized people. 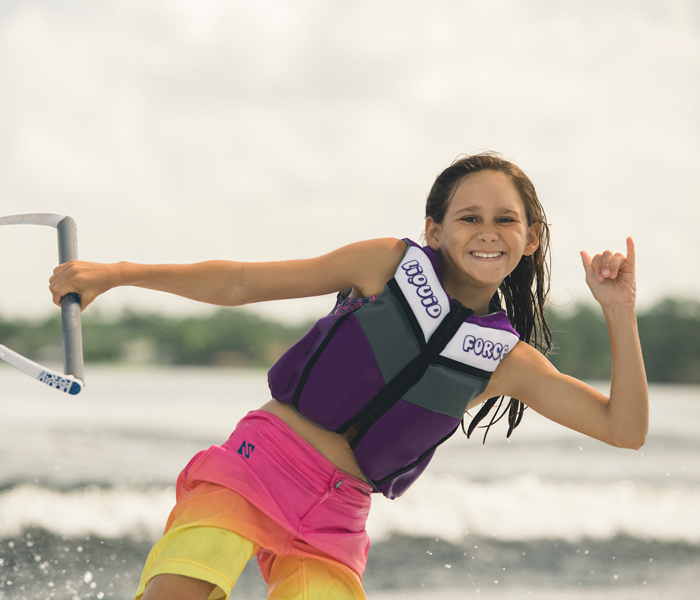 Neoprene wakeboard vests are form fitting, softer, and allow for more mobility and are warmer than nylon life jackets. (Neoprene is what wetsuits are made of).